Home / Latest News / Hear VSQ's "Semi-Charmed Life" in New Target Commercial! Hear VSQ's "Semi-Charmed Life" in New Target Commercial! You can hear VSQ's string rendition of Third Eye Blind's "Semi-Charmed Life" in the latest Target commericals! 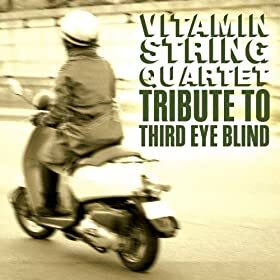 Buy Vitamin String Quartet Tribute to Third Eye Blind now!